Last week Life Force Kiosks reached an amazing milestone. On Tuesday, 10/8/13, we purified our one-millionth liter of water. The past 3+ years have been incredible, and I’m so excited about this accomplishment. I couldn’t be prouder of my team. There have been countless challenges to overcome since this idea was first conceived back in 2010 and it took real commitment and hard work from my team to turn that idea into a reality capable of helping so many people. 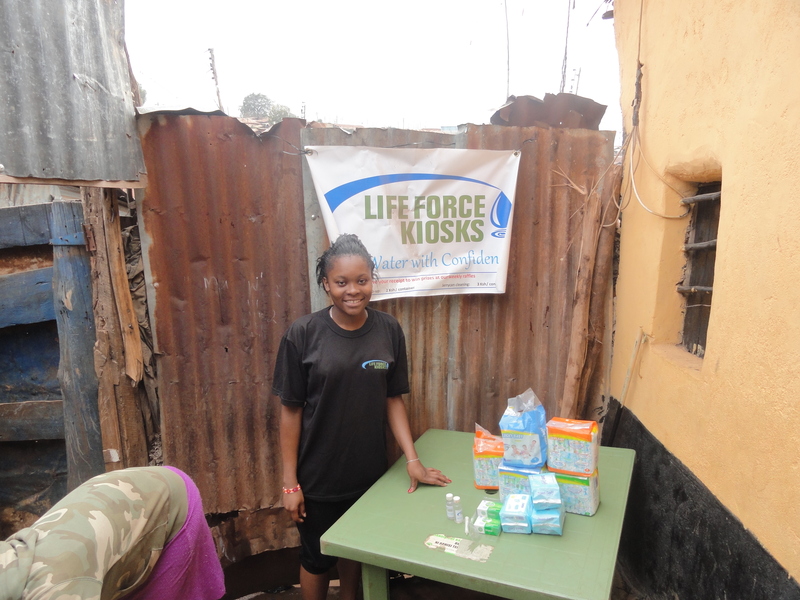 I’m also excited to see that our other products and services are being well received in Kibera. We’ve cleaned over 5,000 water storage containers, which is another critical way to reduce drinking water contamination. We’ve also sold over 600 diapers and 70 bars of antibacterial soap since introducing them back in August. I’d again like to thank Steve, Freddy, our water vendors, and all the people who supported our mission both in the United States and Kenya. This wouldn’t have been possible without them.